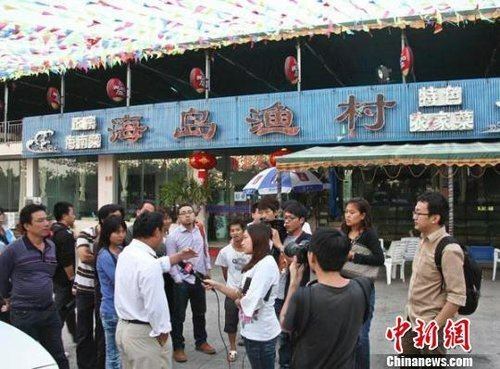 The Sanya government on Tuesday held a meeting over the problems that emerged in the city’s tourist market during the past Spring Festival holiday, and has launched a three-month campaign to regulate seafood stall market after a nationwide complaint campaign over excessive pricing in the tropical tourist city, reports hinews.cn. The local government will carry out comprehensive inspections on seafood restaurants and stalls in the city over the next 3 months, and a blacklist system will be introduced to blacklist stalls and restaurants which are found cheating or overcharging customers. Seafood restaurants and stalls with serious problems will have their business licenses revoked, and will be investigated for legal responsibilities according to the law, the meeting was told. In addition, the government has required all seafood stalls to install an electronic ordering system that can be connected to relevant government departments to manage the seafood stall market. The latest round of public outcry over Sanya’s tourist services started on 29th Jan after a tourist, who calls himself Luo Di, complained on his microblog about the extraordinary high cost of his friend’s meal in Sanya. Luo said his friend paid 4,000 yuan ($634) for only three normal dishes in the Fulin Fishing Village Seafood Restaurant, which has been suspended as of Wednesday after the investigation concluded.